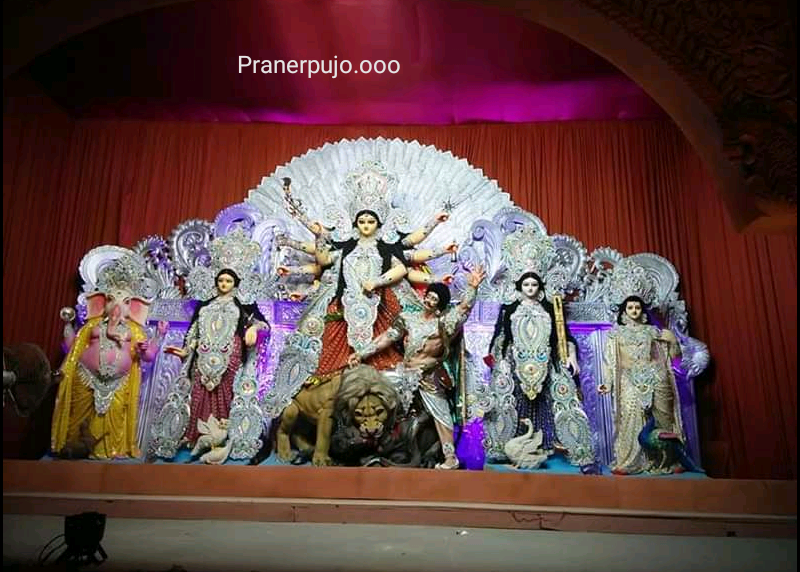 Santosh Mitra Square 2018 Theme:- When we talk about the Kolkata's Durga Puja then Santosh Mitra Square has one of the great Puja club in Kolkata. They always make something different from other and that's why this club has a special value. This club has never give name in any Durga Puja competition in Kolkata because they believe that People's Came here it's the most Expensive Gifts For them. So if you want to know Santosh Mitra Square 2018 Durga Puja Theme then you are in the Right place. Because here we going to share the Santosh Mitra Square 2018 40 Crore Silver Pandels Puja Theme. 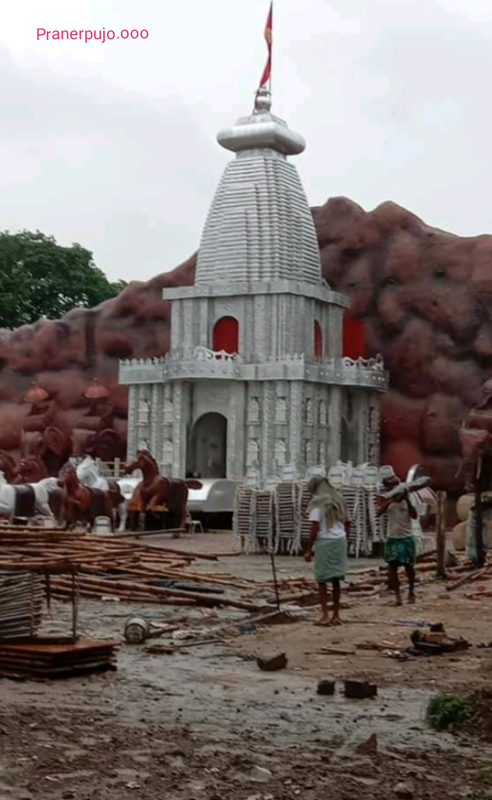 So if you want to know about this puja theme then keep reading this "Santosh Mitra Square 40 Crore Durga Puja Pandels made with Silver" Article. All times best Durga Puja Theme maker, this year going to show us the one of the best Pandel in Kolkata. The Theme is called "Rother Pandels" which is made by 10 tons Silver worth 40crore. They are trying to make something different that's why they are going to show this theme. The Theme of "Roth Pandel" is something special and different from others Pandels and theme. That's why they are hoping that this Pandel will break some record of Kolkata's Puja. This year Santosh Mitra Square made a Fabulous Pandel by which they are going to make some history. 2018's "Rother Pandel" is made by Silver worth 40crore helped by Sencogold jewelry. This Pandel is so big like a 6floor's building. The Pandel height is 60ft, fully made by Silver. This Pandel has more height than Desopriya Park's Big Durga Protima. So they are thinking that this Pandel will attract so many people like 2016's Desopriya Park. The Special attractions of this Pandel is the Main thing of this Pandel means "Roth". 10tons silver is used to make this huge Pandel worth 40crore which shine is so much that no one can able to see this Pandel without Glass, the glass will provide by the management of this Pandel. The effects of lighting make this Pandel more brighter. The management said it's a Different Pandel comparing to the others. 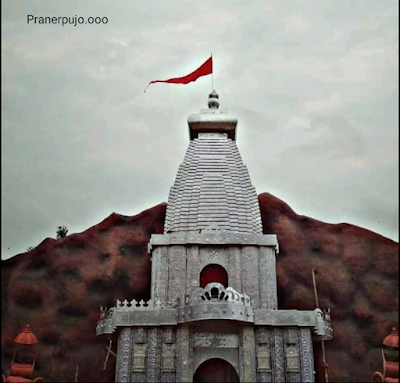 So everyone should visit here and take a look in this Pandel. 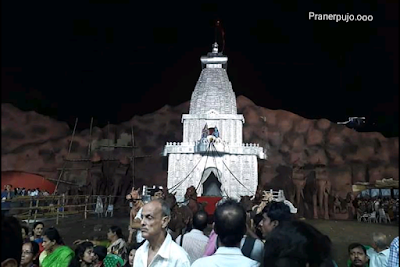 So if you are thinking about Pandels Hopping in this year at Kolkata then you must Visit Here to see the Special Attractions and The Brighten Roth in this Pandel. Not only the Roth but there is also some more Things which will Definitely Impresses you by their Artists Beauty. So Friends we hope You like this "Santosh Mitra Square 40 Crore Durga Puja Pandels made with Silver" Article. And also felt something special after reading this Santosh Mitra Square 2018 Theme. If you think this article is something special then Please Share this article with your Friends & Family and tell them how is the 2018 Santosh Mitra Square Theme which is made by Rs-40 Crore's Silver.